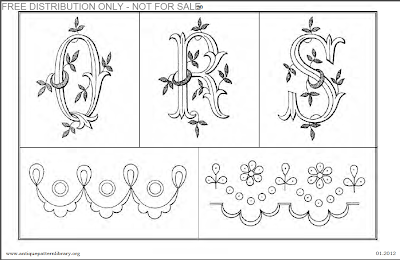 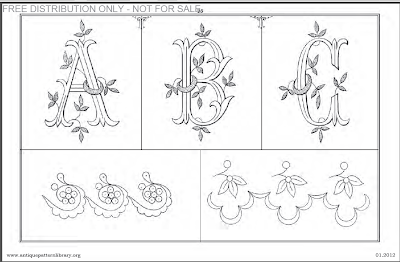 Here are some more monograms from "The Antique Pattern Library". 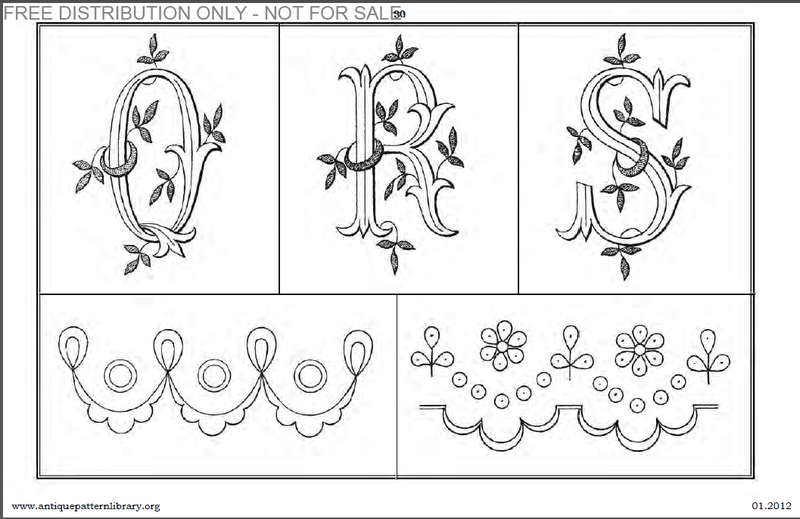 This book contains some really beautiful letters that can be used for both cross-stitch and Filet. 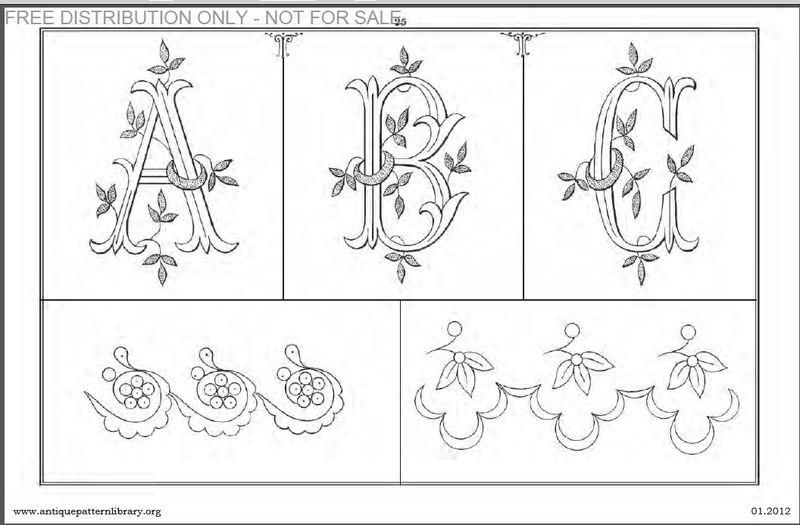 The last few pages contain Lets and borders for embroidery or fabric painting.